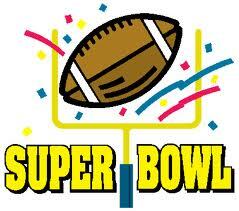 When is Superbowl Sunday? I better find out before it’s too late. Shades of 1988, when I committed the biggest crime of my life. I dared to schedule a student recital on the most SACRED day of the year, Superbowl Sunday! What did I know having been raised on baseball, the Brooklyn Bums and heart-breaker pennants? In Fresno, Bulldog fever was RAGING when I relocated from the Big Apple! Championship football games, tailgate parties, hoop mania, and yes, even Girls Softball grabbed all the attention. Music education was relegated to the sidelines. At best I was coach of the bungling, Bad News Bears, a team of kids who never made it to PIANO practice. Soccer tournaments preempted lessons. Amidst a swirl of sports events, I’d already booked the chapel, and not for my confessional. The pricey rental that I deep-pocketed came with a snazzy 9-foot Yamaha and lavender lighting. For an extra few bucks I got a tech who rolled in the night before to check on the heater, and to set up a long aluminum refreshment table. He’d warned me that any goodies were to be consumed as far from the sanctuary as possible–maybe, to be safe, in the next room, a.k.a the rec hall. Any detectable crumbs incurred a $50 clean-up fee. Such sacrilegious morsels were the least of my worries. Superbowl fever and its consequences were looming. Dads basically checked out, wandering off beyond sound detectable range, engrossed in field goals and bad penalty calls, but a few dropped back in to hear little Tommy play “That Thing Has No Name,” or sister Sue tap out the “Martian Dance” for a spaced out audience. How these pupils managed in this chaotic setting was a Ripley’s Believe it or Not miracle-in-the-making. Curiously, no one stayed to eat the chips and dips I offered in a pleasing post-concert spread. Parents stuffed their kids into car seats and drove off without a polite farewell of gratitude. Next up were time-delayed Tailgate parties with beer, pizza, and buffalo wings. Beef Jerky added a deleterious dose of indigestion. In the weeks that followed, a sizable group of my students dropped out. Was it a mystery? By coincidence, the kids pulled from piano were neighbors on the Bluffs, (a man-made hill overlooking a man-made canyon with scads of hares dropped off by helicopter) It was a far cry from the natural, awesome landscapes of Malibu, or Monterey. In truth, the FAKE bluff was further miniaturized through the window of a passing Amtrak train. At least for beauty alone, Fresno could still boast the The Old Van Ness environs draped in mature pine trees on lavish acreage. But I wasn’t going to raise consciousness about this, or anything related to my adopted home town. As a priority, lessons had to be learned from the 1988 debacle. At the stroke of midnight, 1989, I therefore pledged to be as conscientious about noting any calendar of conflicts affecting dental appointments as pertained to the former bi-annual student piano recitals. Now that the chapel around the corner is over-charging music teachers, I use the new Valley Music Center for my musical EVENT. It’s dwindled down to ONE because of competing sports and dance activities. For sure, MTAC planned Festivals can fill in the gaps for those motivated. Oops, I just noticed that I recommended attendance at the Daniil Trifonov concert which falls on a February Sunday. I better check this date out pronto before I risk a major loss of students!